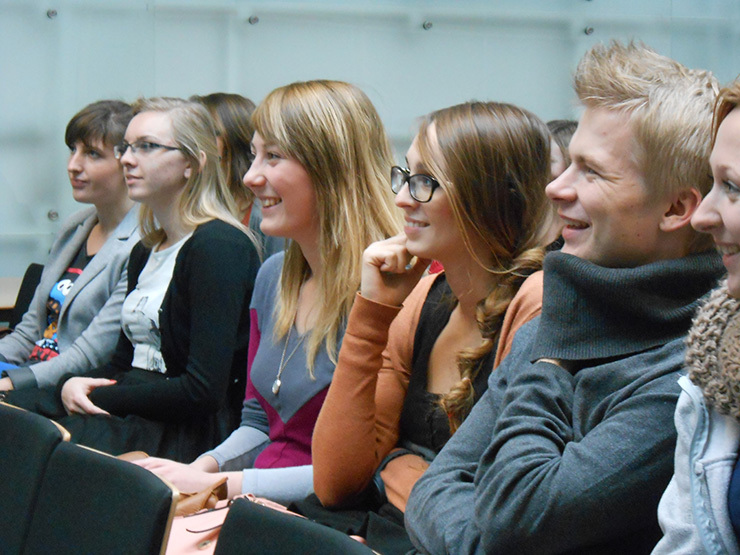 Students at the University of Sosnowiec are fully engaged in the performance-lecture. Stan Breckenridge is demonstrating the positioning of a guitar or bass player, and their rhythmic passages in a given song. The audience is clapping certain rhythms while dancing.